Flat head cap screws, M4 female thread?diameter, 11mm?total length,?zinc?plated?surface,carbon?steel?rivet nut. This Nutsert has a large flange to provide increased strength in punched and drilled holes. Knurled body provides a higher resistance to spin out when installed in soft materials. work. ?Once installed, no finishing work is required on the fastener. 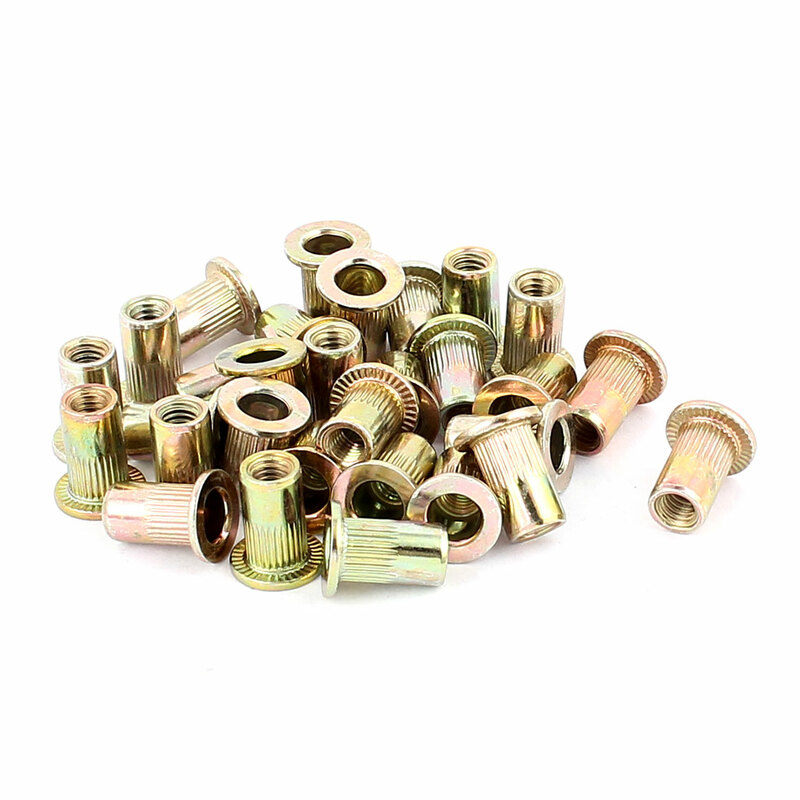 The added benefit of not only being a dependable fastener, they are ready to use with clean threads available for screw attachments.Blind thinsheet materials that are too thin for a tapped thread. Blind Rivet Nuts also areused when an application has little or no access to the backside as they can be installed from the front side of the work piece. Main Color: Bronze Tone; Application Hole Size (d0): 5mm/ 0.2"
Total Length (L): 11mm/ 0.43"; Body Diameter (d): 6mm/ 0.24"